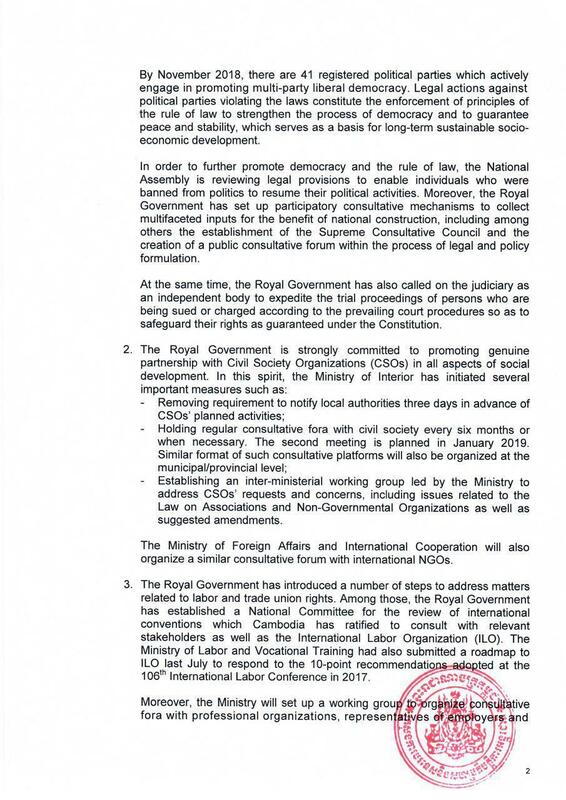 Phnom Penh (FN), Dec. 4 – Former President of the dissolved Cambodia National Rescue Party (CNRP) Kem Sokha supported the Royal Government of Cambodia’s steps to strengthen democracy and political space, Sokha’s lawyer Chan Chen told Fresh News Tuesday. 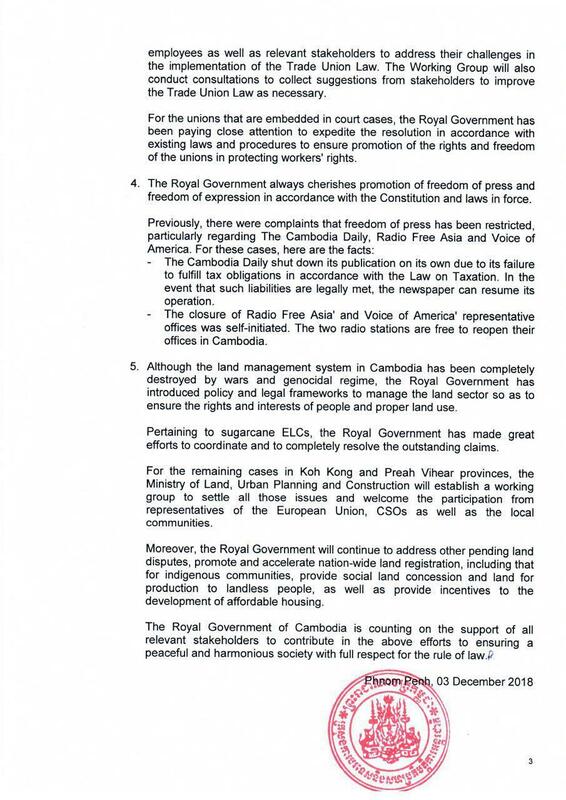 “H.E Kem Sokha, my client, welcomed the government’s statement. My client also supports everything that is of national interest, democracy, and human rights,” Chen said. 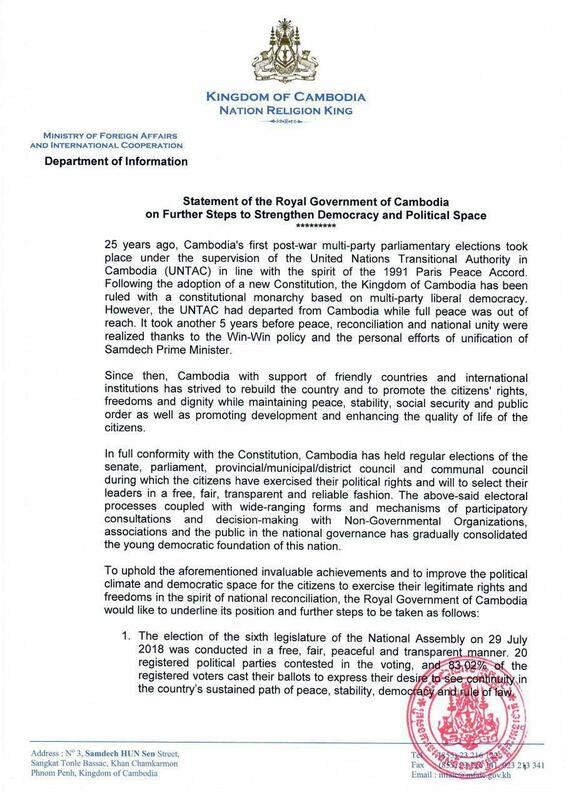 It is worth noting that the Royal Government of Cambodia released a statement on further steps to strengthen democracy and political space that will help the 118 former opposition party members retain their rights to political activities as well as facilitate freedom of press, CSOs, and unions, according to foreign affair ministry’s press release dated Monday.